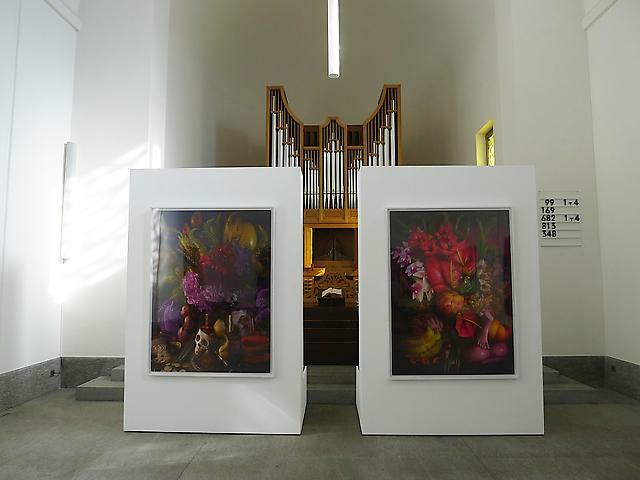 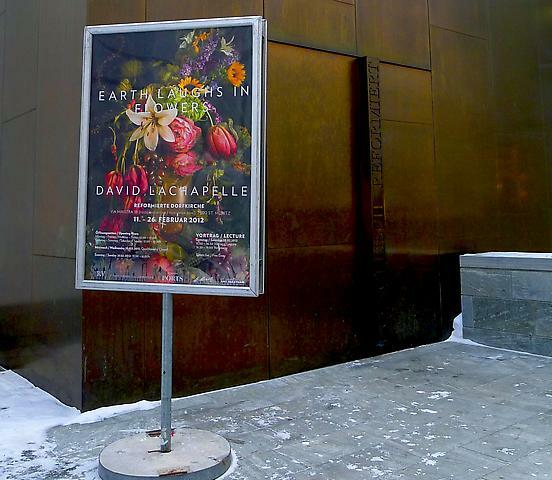 The series ‘Earth Laughs in Flowers’ was first shown at Hannover’s Kestnergesellschaft Museum in spring 2011. 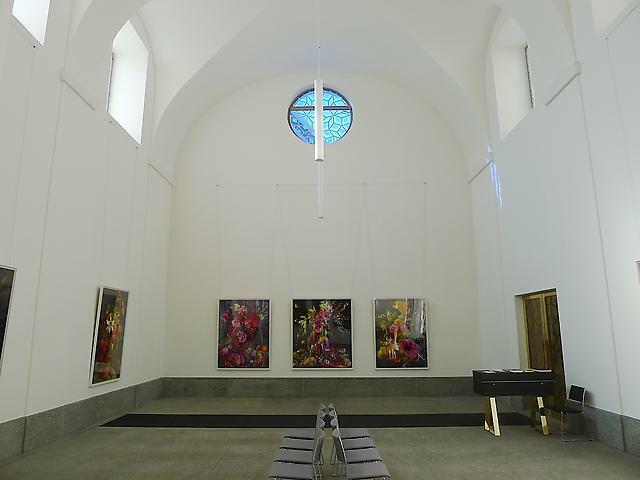 ROBILANT + VOENA will now present this important body of work to the British, Italian and Swiss public, across its two galleries in London and Milan, as well as the Reformierte Dorfkirche, St. Moritz in collaboration with ST.MORITZ ART MASTERS, the 10 day summer art festival in the Engadin (24.8.-2.9.2012). 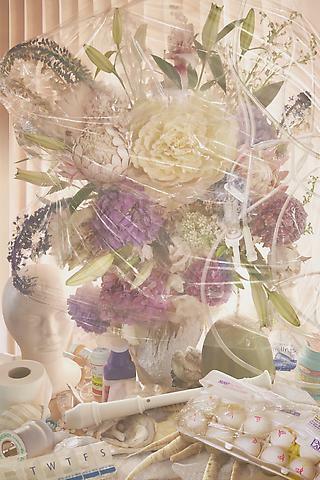 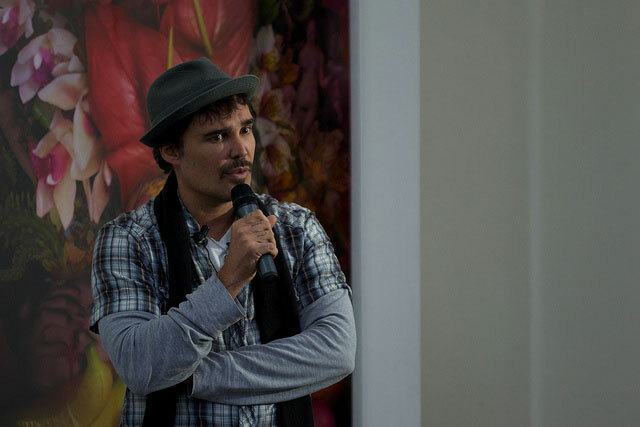 In this new series of ten works DAVID LACHAPELLE (Born 1964) explores the vanity of life and beauty. 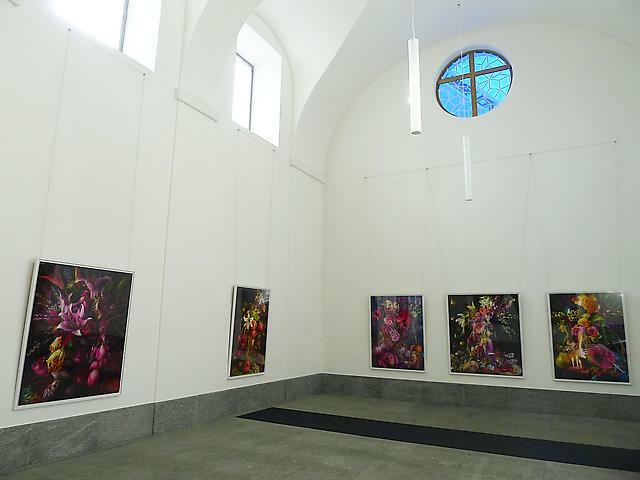 With titles such as “Springtime”, “Late Summer”, “Early Fall” and “Deathless Winter” the works refer to the four seasons and allude to the life cycle: from birth to death. 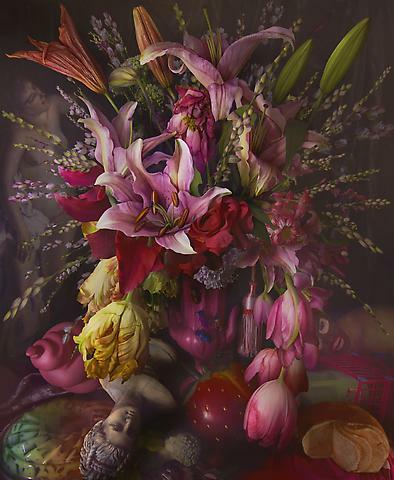 The title of the series is a quotation of the poem “Hamatreya” by Ralph Waldo Emerson, in which flowers are the earth’s laughter at the arrogance of human beings who believe they can rule the earth, although they themselves are transient and must return to it. 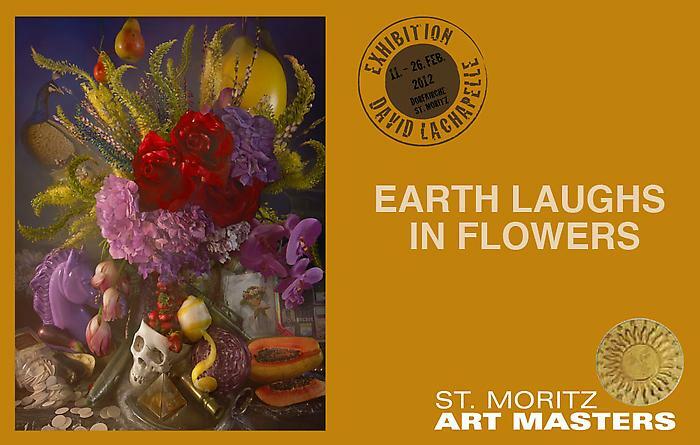 The title of the exhibition can also be read in the sense of the Baroque vanitas portrayals. 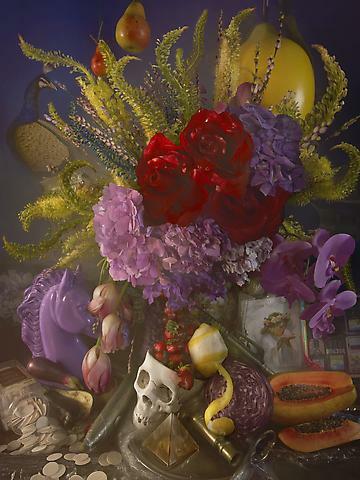 The meaning of the Baroque floral still life was always related to the human hubris and transience of earthly existence, with the classical still life often containing many of the following: flowers, fruits, vegetables, animals, insects, mask, candles, watches or skulls. 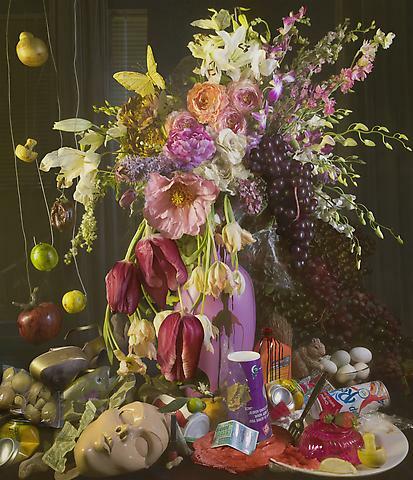 These symbols denote the fugacity and limitations of human life and the meaningless nature of vanity. 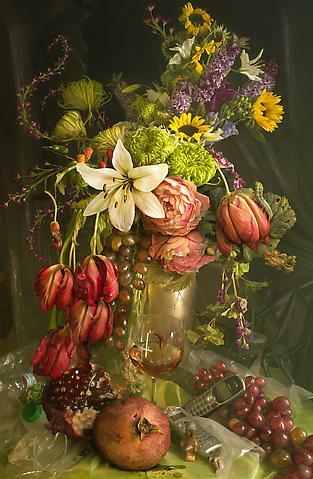 Just like wilting flowers, albeit their beauty, we will all fade away. 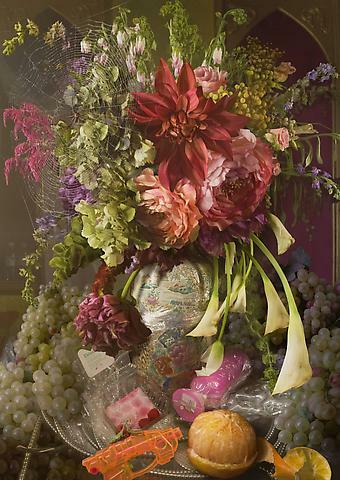 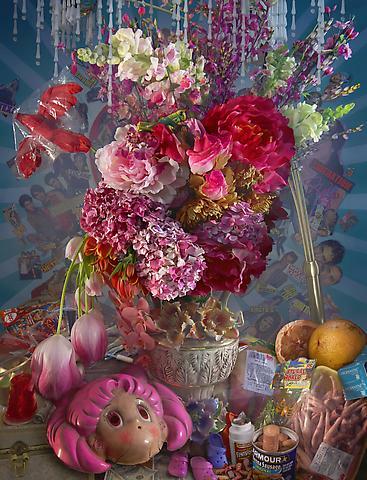 Whilst LaChapelle shows an explicit compositional affinity to Baroque floral still life, he transfers the genre from painting to photography. 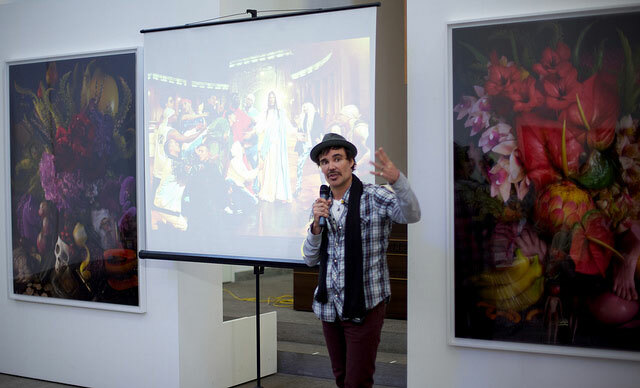 The artist employs art historical visual traditions, but he also translates them into visual metaphor of and for our time. 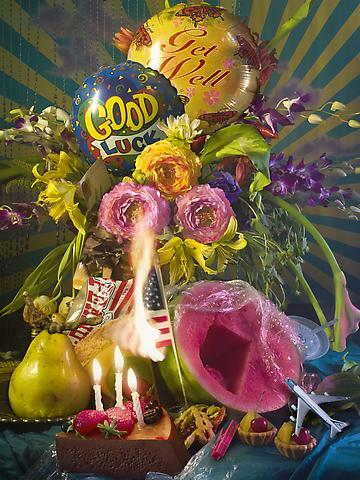 On second glance the viewer will discover objects of contemporary society in the blooming and fading flower arrangements: burning cigarettes, newspapers from yesterday, old mobile phones, plastic, Barbies, a Manga mask, medical devices, a burning American flag, a model of an airplane, balloons, tins, collages, throw away dinnerware or a tattered dollar bill. 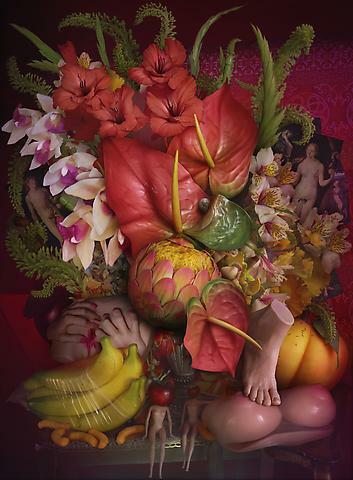 These are the metaphors of vanity in our era of an affluent though seemingly troubled society. 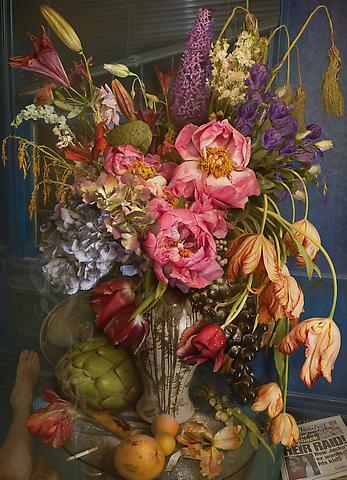 The often bizarre and excessive symbolical imagery does not fail to remind us however, as in the traditional vanitas, to follow our virtues and to celebrate life before it‘s over.